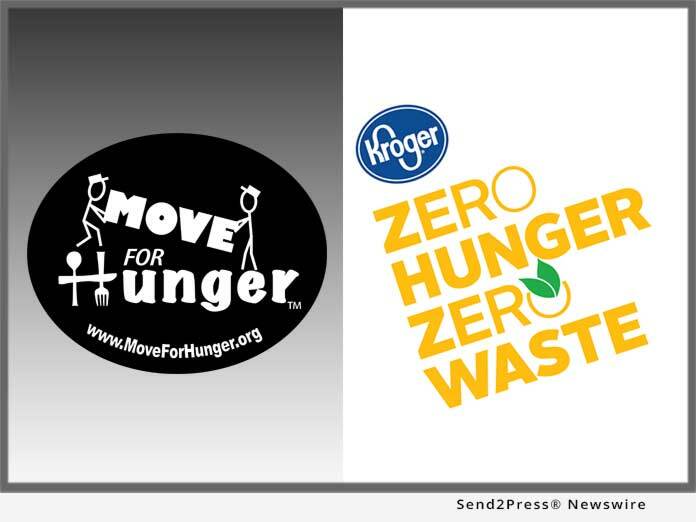 ANN ARBOR, Mich., Apr 19, 2018 (SEND2PRESS NEWSWIRE) — Move For Hunger announced today that it will be holding “Fill-A-Truck” Food Drives at nine Kroger stores in Michigan on April 28 from 10 a.m. – 2 p.m. Employees from one of four Michigan moving companies – All Around Moving (Romulus), Palmer Moving Services (Warren), Stevens Van Lines (Saginaw), and University Moving & Storage (Farmington Hills) – will be on-site at each location to encourage Kroger shoppers to donate enough non-perishable food to fill an entire moving truck. Nearly 1.5 million people in Michigan, including 1 in 6 children, are food insecure. Meanwhile, 40-percent of all the food produced in the United States each year is wasted. Each of the participating moving companies are members of Move For Hunger’s nationwide network of relocation professionals. In addition to assisting with local food drives, members of the Move For Hunger network provide their customers with the opportunity to donate unopened, non-perishable food during the moving process and delivers it to a food bank, free of charge. * White Lake Twp. (10951 Highland Road) | Stevens Worldwide. Move For Hunger is a non-profit organization that mobilizes the relocation industry to fight hunger and reduce food waste. In addition to collecting food from people who are moving to new homes, Move For Hunger helps companies and individuals across the United States and Canada organize successful food drives. To date, they have collected more than 10 million pounds of food. For more information, or to find out how you can host your own food drive, visit http://www.moveforhunger.org/. Incorporated in Michigan in 1909 and headquartered in Novi, The Kroger Co. of Michigan operates 123 Kroger stores, 75 fuel centers, 104 pharmacies and the Michigan Dairy. Michigan Kroger’s 19,000 associates are dedicated to the Kroger Purpose: to FEED the Human Spirit, by serving the region through food, inspiration and uplift, and creating #ZeroHungerZeroWaste communities by 2025.